GTD's Swamp Thing is a 8 mile out-and-back (4 miles each way) hike through the fresh water swamp that flows into the Everglades. 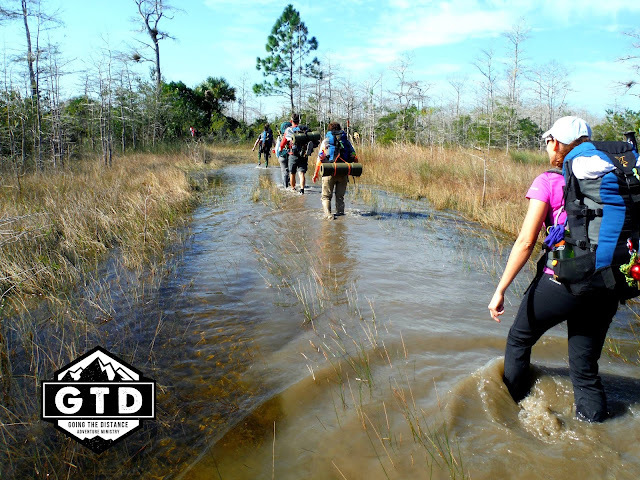 We will trek in 4 miles and camp for 1 night on a small pineland island which is surrounded by an endless river of grass, cypress trees, and marsh swamps. During our time we will explore some of the rarest terrain in the world. 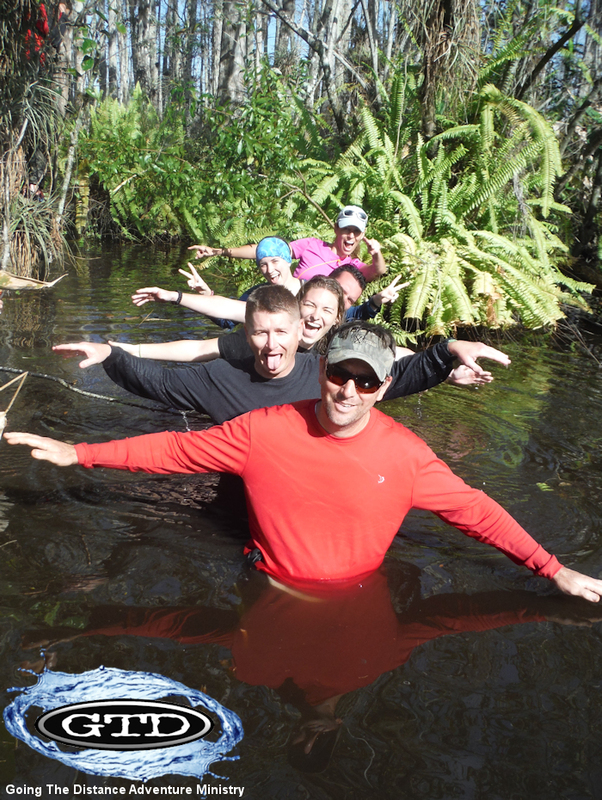 About 75% of our hiking trail is through swamp water measuring from ankle to knee deep. This is an adventurous and challenging hike that will cause a sense of wonder and praise deep within your soul as you see the creative genius of an Almighty God. Each day we will start the morning with personal devotions and at night we will spend some time focusing on a Biblical topic. Only through God's amazing power can the grunge of a swamp be used to refresh your soul. 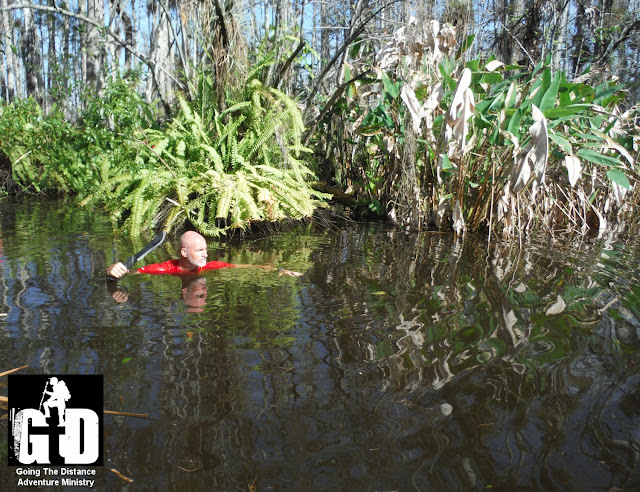 Come and see why adventurers haven't experienced anything until they've experienced The Swamp Thing. POISON IVY WARNING: Some poison ivy has been encountered at the campsite. Learn what it looks like and avoid touching it. Not everyone is allergic to poison ivy, but some people are very allergic to it. Get A Glimpse Of Our Adventures! FREE FRIDAY NIGHT CAMPING OPTION AVAILABLE!!! STEP 1: ALL PARTICIPANTS MUST REGISTER!! CLICK HERE TO REGISTER! STEP 2: PAY FOR THE EVENT. Select one of our payment options to lock in your spot. 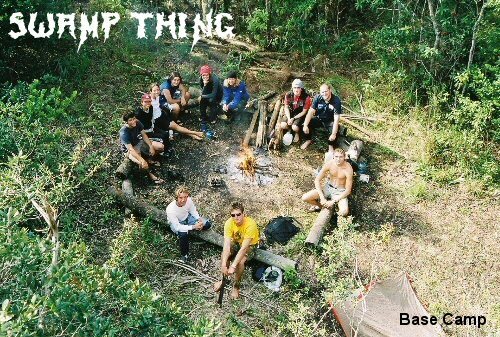 Friday Night Camping Option (FREE): Early check-in 3-10pm on Friday (Collier-Seminole State Park in Naples, FL). 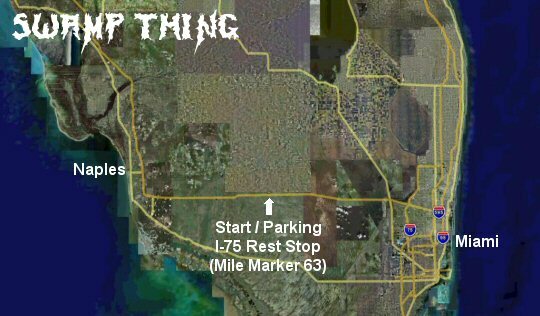 Campsite is 45 minutes from Collier County Rest Area (MM 63). 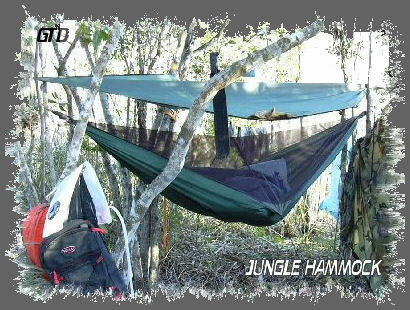 Backpacking: 2-man tents or cocoon hammocks. NO restrooms available during backpacking trip. "Cat holes" will be used. NO showers available during backpacking trip. WHERE TO PURCHASE: Most grocery stores such as Publix have great selections at low costs. Sporting good stores carry specialty backpacking meals that usually cost a little bit more. AMOUNT: Bring plenty of trail snacks for 2 days and enough food for 5 camping meals (1 breakfast, 2 lunches, 1 dinner, 1 extra). SIZE, WEIGHT, & PACKAGING: Food should be lightweight & waterproof. Seal it in zip-lock bags. Try not to bring heavy canned foods. STOVE & COOKWARE: GTD will supply camp stoves, utensils, mess kits, and cooking pots. BACKPACKING MEAL EXAMPLES: "Mountain House" makes a large variety of dehydrated freeze-dried meals that are delicious and simple to prepare. Mountain House backpacking meals can be found at sporting good stores, online, and a small variety at Walmart. Other examples of backpacking meals that can be found at any grocery store are instant mashed potatoes & instant gravy, tortillas with pepperoni (or salami) with sealed cheese, Ramen noodles, Knorr pasta packets, vacuum-sealed tuna fish, vacuum-sealed salmon, vacuum-sealed chicken breast, granola/breakfast bars, pop tarts, freeze dried foods, oatmeal, dried fruits, peanut butter, jelly packets, hard rolls, nuts, M&M's, raisins, sunflower seeds, trail mix, etc. MEALS DURING TRANSIT: You will probably want to bring money for meals during your drive. 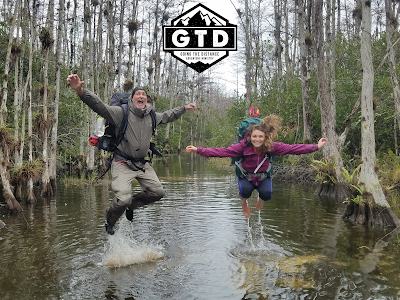 After the hike the GTD crew will be stopping along I-75 for dinner during our ride back to Largo if anyone would like to join us for a celebration meal. We will be eating at a restaurant such as Chili's, Cracker Barrel, Sonny's, etc. 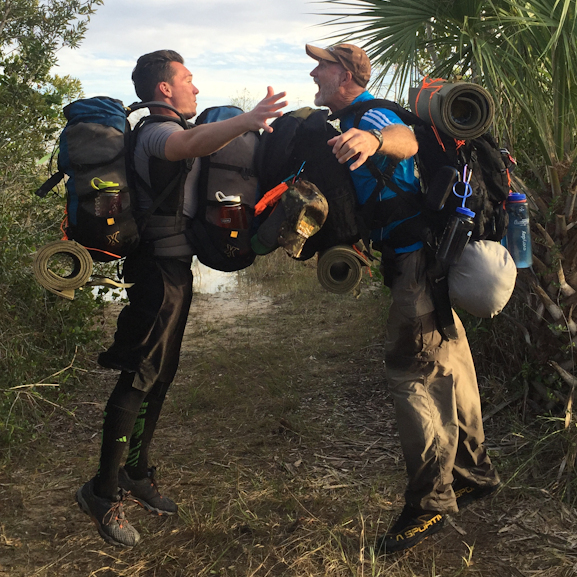 Full time guides, all backpacking gear (including backpacks, cocoon jungle hammock or tent, sleeping bag, water bottles, cooking supplies), devotions & spiritual emphasis, a God-awesome lifelong memory! Transportation, snacks / backpacking food, meals during transit, any items listed on checklist (see below). GTD Waiver (please print & complete prior to arrival). *Note: Any participant under 18 must also have parent/ guardian sign each waiver. GTD events can be paid for with cash, checks, or debit / credit cards. To pay online with a debit or credit card scroll to the Pay Now button on this link (3% "Tax" added when paying online to cover PayPal fees). Send checks to the mailing address on the Contact link. With approval in advance bring cash payments to the GTD event. TRAIL BLAZES: This hike is part of the Florida Trail and is marked with orange blazes on trees. WILL YOU DO THE SWAMP ROMP?!?! ON YOUR MARK. GET SET. GOOOOOOOOOO! Below is a cheesie, but somewhat informative video from the National Park Service about going on a swamp hike. 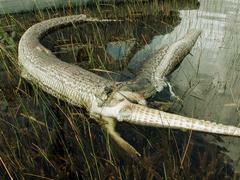 In this photo provided by the Everglades National Park, the carcass of a six-foot American alligator is shown protruding from the mid-section of a 13-foot Burmese python Monday, Sept. 26, 2005 in Everglades National Park, FL, after the snake apparently swallowed the alligator resulting in the deaths of both animals. Pythons have become a problem in the Everglades, but none have been reported in the area we will be hiking. POISON IVY WARNING: There is some poison ivy at this camp. Learn what it looks like and avoid touching it. Not everyone is allergic to poison ivy. BASE CAMP CONDITION: Sometimes overgrown. Each year we spend the first two hours setting up our base camp by chopping down any overgrown weeds, etc & building our fire pit. ACCOMMODATIONS: Select from a Hennessy Cocoon Hammock (bug-proof & rainproof) or a 1-2 person Eureka tent. 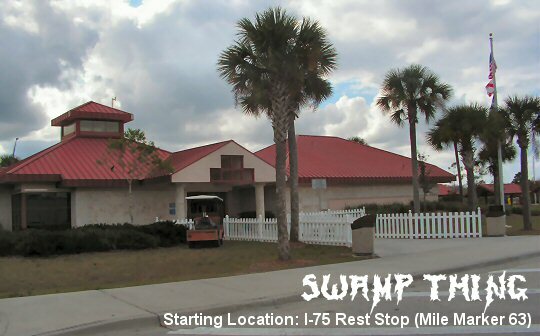 STARTING LOCATION: Collier County Rest Area about 30 miles east of Naples on I-75 "Alligator Alley" (Mile Marker 63). TRAILHEAD FACILITIES: Restrooms, vending machines, picnic shelters, free drinking water, water hose, trash cans, cell phone tower, electricity. This will be available at the start & finish of the trip. PARKING: We will be parking in the designated recreational parking area. 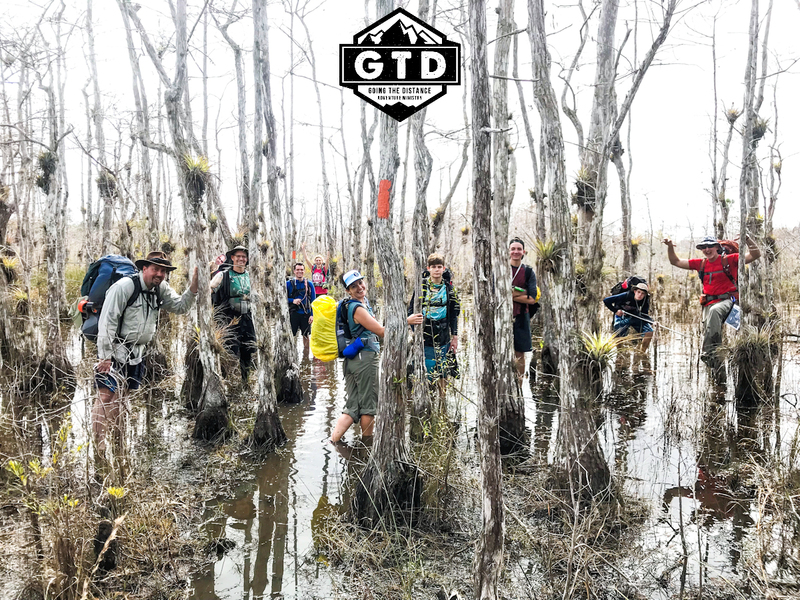 If you are meeting at the trailhead you need to consider this: GTD can not guarantee the safety of your vehicle. Park at your own risk! NOTE: The more weight you carry the less fun you will have. Try to only bring what you need. Luxury items may seem like a good idea until the 2nd mile of your hike. *GTD will supply the following gear for you on this trip. You may elect to supply your own gear instead of using GTD's gear. 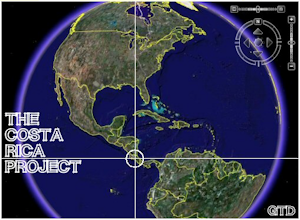 ABOUT CLOTHING: Each backpacker determines the quantity of clothing he or she will bring. To keep your pack weight down it is recommended that you bring lightweight clothing (usually synthetic materials) that can be used more than once & when possible has more than 1 use. *NOTE: Your shoes will get trashed (wet, muddy, scratched, etc). It's a good idea to bring a pair of old tennis shoes that you can dispose of after the trip. *Pack according to up-to-date weather forecast. Rain is a possibility. NOTE: The following gear will be hiked in w/our guides. 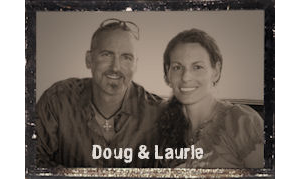 We look forward to all that God has in store as we embark together on a God-awesome adventure! 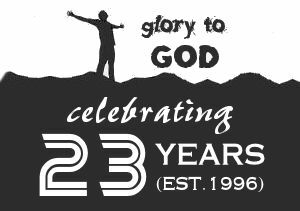 Come and see why we are love’n life because of Jesus Christ!